Romelu Lukaku looking for a way out of Manchester United? Belgium striker Romelu Lukaku has reportedly joined the likes of Paul Pogba and Alexis Sanchez in expressing the desire to part ways with Manchester United in the near future. The 25-year-old has endured a tough campaign with the Red Devils across all competitions and of late, he has found himself dropped to the bench for key Premier League encounters. According to The Sun, Lukaku is the latest player to have become frustrated with his treatment under manager Jose Mourinho and he would be open to the prospect of a fresh challenge elsewhere. 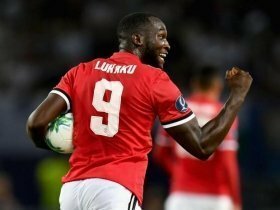 Lukaku has netted just six goals in 19 Premier League and Champions League matches this term but he could have quite easily doubled the tally with the clear-cut chances he has had. This has caused a general sense of frustration among the fans and Mourinho himself and it remains to be seen whether the Belgian can recapture the form displayed during the backend of the previous campaign.